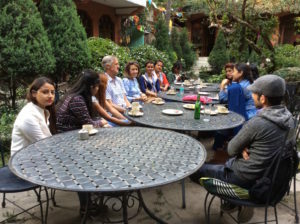 Check our blog (or subscribe for updates) to keep up with the latest things happening here at Samunnat Nepal. 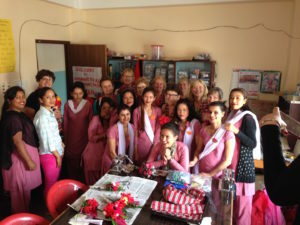 We have our latest news, lovely photographs, product launches, guests posts from some of our ladies and opinion pieces as well. We’d love to hear your comments too. 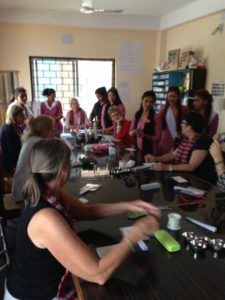 Our readers know that we make polymer clay beads and use them to make beautiful necklaces. But we do not make the clasps for the necklaces or the silver hooks for our earrings. We buy these from the lovely people at Fozia Creative Centre. 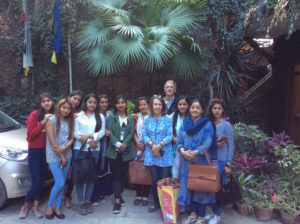 Our friends there are so helpful and patient with us and for a long time we had only spoken to them on the phone because we would make the order then Wendy didi would pick them up when she came through Kathmandu. Abdul bhai came from Tibet and he and his family own the shop. 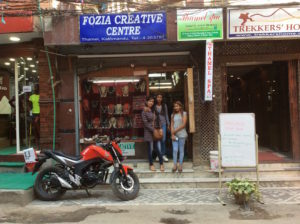 I had met him and I wanted some of our ladies and especially our Sharmila to meet him and see the beautiful shop. They have beautiful necklaces and stones and it is a lovely shop. 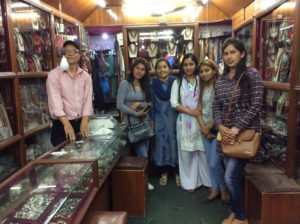 We were all so happy to crowd into the small shop and say hello and meet Abdul bhai. 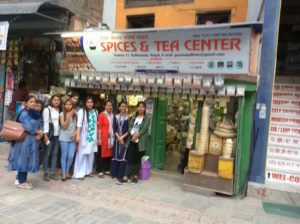 Any lady visiting to Kathmandu would love to see this shop and all the beautiful mala. They are using Tibetan stones like turquoise, lapis lazuli, amber and coral. We loved to see how they were displayed and so organised. We can learn from all this.